The tourist industry is the heart and soul of Central Florida, and one of its biggest money makers is the mountain of souvenirs sold in the area every day. Each theme park has its own assortment of branded apparel, toys, and other useless items, often dredging the true lows of tackiness and tastelessness. However, plenty of items are available with a little more class, uniqueness, imagination, or even just sheer kitschiness. I'm going to highlight some of those items, and today we're starting with a pirate's best friend and worst enemy. Of all the famous scenes from Pirates of the Caribbean, possibly the most iconic is the jail scene. 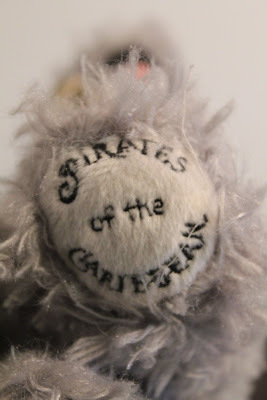 Desperate, hardened pirates are reduced to begging a bemused canine for release. It's one of those scenes that's light hearted on the service, but has much dark humor underneath when you truly consider the prisoners' plight. Even the movie adaptions couldn't ignore the scene, incorporating the famous dog into all three of the initial films. It comes as no surprise, then, that you can now take home a miniature version of that famous dog for your own home. Disney has no shortage of plushes, but there's definitely something charming about having one so well themed to one of their best rides. 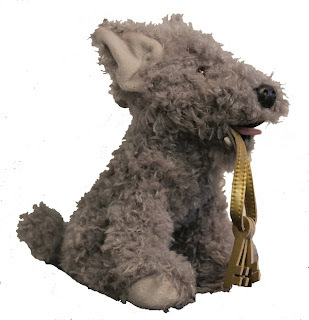 It's a well constructed stuffed animal with only a passing resemblance to the actual animatronic, but the keys in the mouth and the ride logo on the paw make it unmistakable. I'd definitely recommend it as a decoration or a gift for an older child, as the flimsy keys will most likely come loose with too much rough play. If you don't want the dog, how about just the keys? 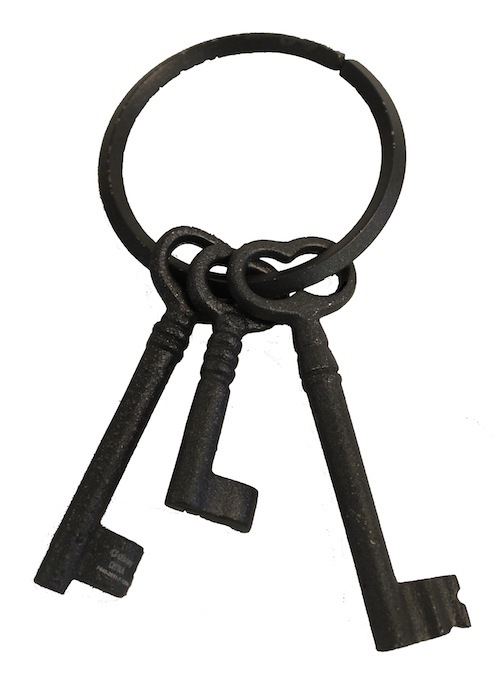 Although a bit pricey, these replica prison keys are definitely made from some durable metals. These are heavy enough they could be used as a blunt weapon after you make your piratey escape with them. Definitely not a toy, they make a great display piece on a coat rack or a key ring, or in any imitation torture chambers. The aged-iron finish is unfortunately a bit flakey, so it's best not to bang these keys around or give them to your own stubborn dog. Best to just display them proudly so that guests know they better behave themselves.